Summer is ending soon but still there are plenty of things to do in Budapest in August. Check out our Budapest Events Calendar for August to find top concerts, attractions, sports, and other things to do during this last month of summer in Budapest. 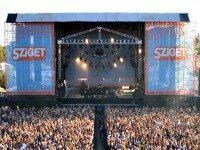 Finally, Sziget Festival’s version 2016 is here, one of the largest cultural and musical events in Europe. Obudai Sziget is getting ready to receive and entertain thousands of participants from all over the globe. The Sziget Festival is not only about music, there are lots of cultural programs you can enjoy and take part during the whole week. Budapest is proud of its Sziget Festival, an event of friendship and cultural diversity to enjoy and have fun. Check the Sziget Festival website for detailed information and full list of artists. August 20 is the most important National Holiday in Hungary. On this day, Hungarians Celebrate the foundation of the Hungarian Nation. August 20 is also known as St Stephen’s Day in honor of King Stephen, the first Hungarian King and the responsible of uniting Hungary’s territory in only one country. Celebrations will start at 8:30 am in various venues and will continue throughout the day until 9 pm when spectacular fireworks will be displayed over the Danube River from different spots such as the Elizabeth Bridge. A great way to spend the night during the 20th of August’s celebration is having dinner on a cruise across the Danube while admiring the stunning night views of Budapest and the traditional colorful fireworks that close the celebration. I assure you will have an unforgettable evening! 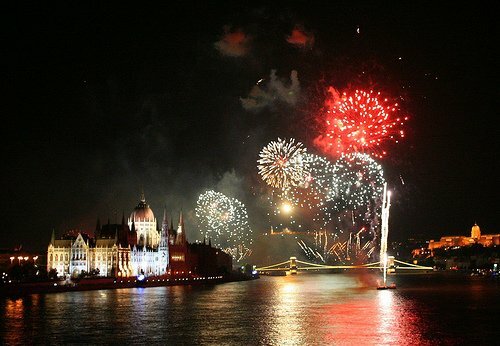 For detailed information : on the river cruise, dinner and fireworks event on the Danube check the Dinner Cruise website. Kossuth Tér and Heroes’ Square will host military ceremonies as well as traditional celebrations related to the new bread and first harvest (bread tasting and national birthday cake contest). The Buda Castle is also celebrating during this weekend the Festival of Folk Arts and the Basilica Square will host a procession of St Stephen’s Holy Right Hand. When: Every Tuesday and Sunday of August, 2016. 8:00 pm. 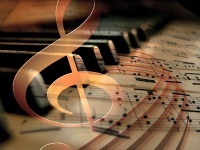 More information: Check the St. Stephen’s Basilica Concerts site for detailed information on dates, concerts and prices. Classical music and architecture lovers would be delighted with a concert in the Matthias Church in the historical castle quarter of Budapest. Where: Romai Part, Budapest III district. Romai Part is a charming riverbank in Budapest’s District III. It is a popular place for dining, strolling around, riding your bicycle, renting a kayak or a boat and sailing along the Danube. There are lots of terrace restaurants where in summer locals enjoy the cool breezes of the Danube as well as Hungarian summer delicacies such as langos (fried dough with toppings), palacsinta (pankakes) and fried fish (hake). If you are willing to spend an afternoon as a local and with locals, come to Romai Part. If you want to enjoy a ferry ride along the Danube, just the way locals do, take one of the ferries that run from Petőfi bridge (Boraros tér dock) to Romaifűrdő dock. This is a very nice tour that covers the lenght of the city and costs you a little bit more than a metro single ticket, all depends on where you get on and you want to get to. 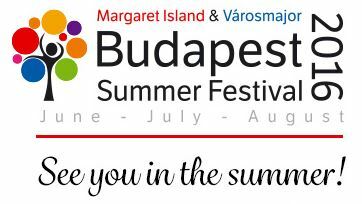 There are stops at A38 boat, Batthyányi Tér and Jászai Mari tér where you can get on and there is also a stop at the Margaret island where you can get off and look around if you wish. 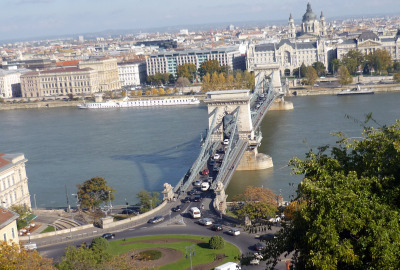 I recommend you take the ferry at Petőfi tér or at A38 boat then you will have the opportunity to take beautiful pictures of the Chain Bridge, the Buda Castle and the Parliament. Get off at Romaifüdö stop, stroll around. Here, the ferry turns back and takes you all the way back. Download the timetable of the ferries for detailed information on where to board, prices and times. More information: Check the Hungarian Public Transportation website for detailed timetable and prices. The third weekend of August the most talented craftsmen from all over Hungary meet in the Buda Castle to exhibit, share and show how they keep alive their folk art work and traditions. This festival is the most authentic exhibition of Hungarian folk art culture featuring interactive crafts workshops, Folk music performers, traditional Hungarian dance shows, traditional Hungarian gastronomy and wine tasting stands are just some of the many activities you can take part in the Festival. Several kinds of craftsmen such as woodcarvers, matmakers, calicomakers, feltmakers, embroiderers, wheelwrights, ropemakers, smiths, potters, musical instrumentmakers, harnessmakers, weavers, lacemakers, eggpainters and honey cake makers will be present showing the secrets of their arts while working in their workshops. Visitors will be invited to take part and share these interesting traditions. On August 20th, there will be a march of craftsmen and the Blessing of New Bread will take place for the celebration of Saint Stephen’s Day. Where: Szechényi Baths- District XIV Állatkerti körút – City Park. Szecska is a late night music spa experience that has been created by Intersputnik in association with Széchenyi Baths for everyone to have a unique summer Saturday night out at this great venue. Szecska intends to offer an awesome atmosphere with great music, Funky, Dance, House and Electronic music under the moon light or under the rain. Szecska’s party nights promise to be one of a kind, don’t miss the opportunity to enjoy great live DJ music, tasty drinks and this great venue at night, all in one. Wearing a swimming suit is compulsory. 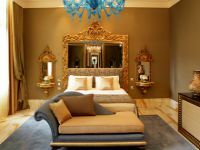 More information: Check the Szecsenyi Bath website for detailed information in tickets. More information: Check this PDF in the Hungarian Public Transport Website for a detailed map on how to get there, prices and opening hours. 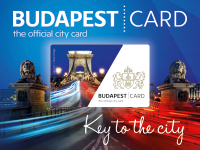 Do you have any question about any event or anything related to your trip to Budapest? Let me know! I will be happy to help you!